Matthew 24:44 So you also must be ready, because the Son of Man will come at an hour when you do not expect him. Last week my husband and I spent a relaxing, wonderful week visiting my sister in Florida. As always we had a great time. We were ready for some rest and relaxation after a busy summer and we got it. I did notice however that the world didn’t take any rest and relaxation. The Middle East is aflame with the war in Israel and Gaza, ISIS is massacring Christians and fellow Muslims in Iraq, there are daily atrocities being committed in Syria along with massacres in Nigeria and other parts of Africa, there is an ongoing battle between Russia and the people of the Ukraine and still more. Though it is wonderful to be able to take a holiday from our jobs and our everyday life, there is NO time to take a break from our prayer life. We need to be vigilant in holding up our brothers and sisters at home and around the world in prayer! We need to continue to pray for the peace of Jerusalem! We need to pray for all those innocent people caught in the various wars and battles around the world! This is not a time to become lazy in our prayer life! There are too many people counting on the people of God to faithfully keep them in prayer, interceding for them in situations that are dire and could become dire at any time. We must pray for those who are being martyred around the world, that their life will speak of Jesus right up until the end. That they may be given boldness and peace during their times of persecution. And of course, we are to pray for our families, friends, neighbors an our communities. I am feeling a call to prayer like never before. The world is experiencing some mighty birth pains and scripture indicates the pains will only get greater and longer until the great tribulation. My prayer is that we will be faithful in praying, helping and sharing the gospel in the days we have. All indicators indicate that our beautiful King is coming back sooner rather than later. May He find us faithful and obedient to the calling He has given each of us. May He find us working to further His Kingdom. May He find us ministering with the gifts He has given each of us. May He find us taking care of all those He has entrusted to us. Jesus told us keep watch and know what is going on so we can be aware of the times we are living in. Matthew 24:4-13 NIV 4 Jesus answered: “Watch out that no one deceives you. 5 For many will come in my name, claiming, ‘I am the Messiah,’ and will deceive many. 6 You will hear of wars and rumors of wars, but see to it that you are not alarmed. Such things must happen, but the end is still to come. 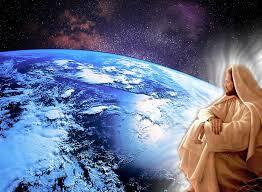 7 Nation will rise against nation, and kingdom against kingdom.There will be famines and earthquakes in various places. 8 All these are the beginning of birth pains. We are seeing now experiencing some of these very birth pains. He also told us to be ready for His return and not be caught spiritually sleeping. Matthew 24:36-44 NIV 36 “But about that day or hour no one knows, not even the angels in heaven, nor the Son, but only the Father. 37 As it was in the days of Noah, so it will be at the coming of the Son of Man. 38 For in the days before the flood, people were eating and drinking, marrying and giving in marriage, up to the day Noah entered the ark; 39 and they knew nothing about what would happen until the flood came and took them all away. That is how it will be at the coming of the Son of Man. 40 Two men will be in the field; one will be taken and the other left. 41 Two women will be grinding with a hand mill; one will be taken and the other left. Though we all have earthly responsibilities we must take care of, let’s not lose sight of the things that really matter for eternity. Let’s keep watch, pray and be ready for the return of Jesus, our beautiful Lord and King. ← Choose to cast your cares on Him! The people who prays for others people are spared.